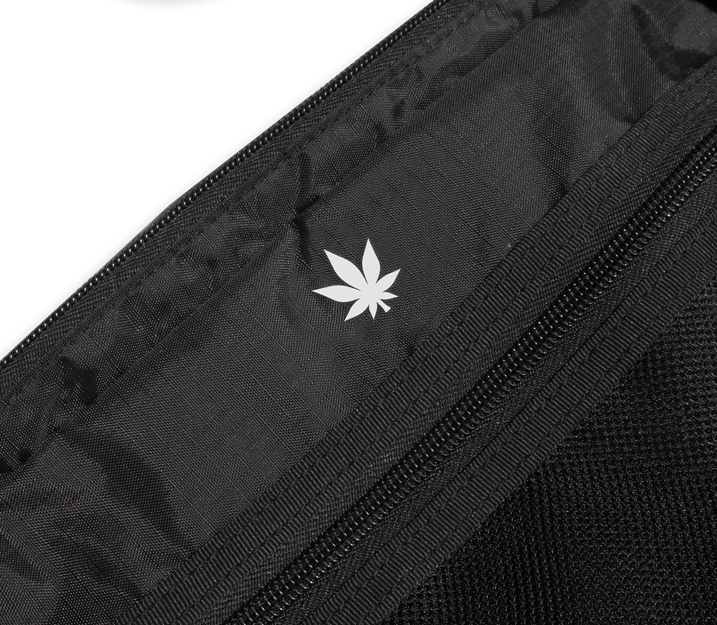 Shoulder bag with black strap and front mesh zip pocket. 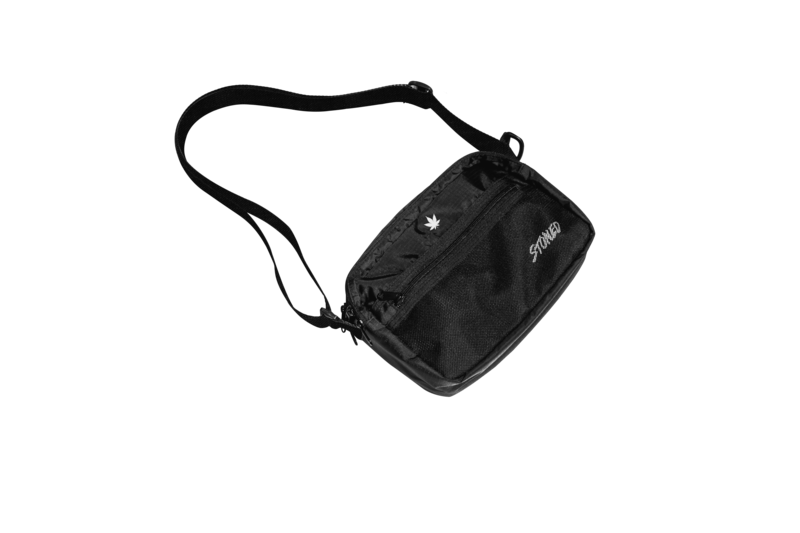 Multipurpose interior compartments with zip closure at main compartment. 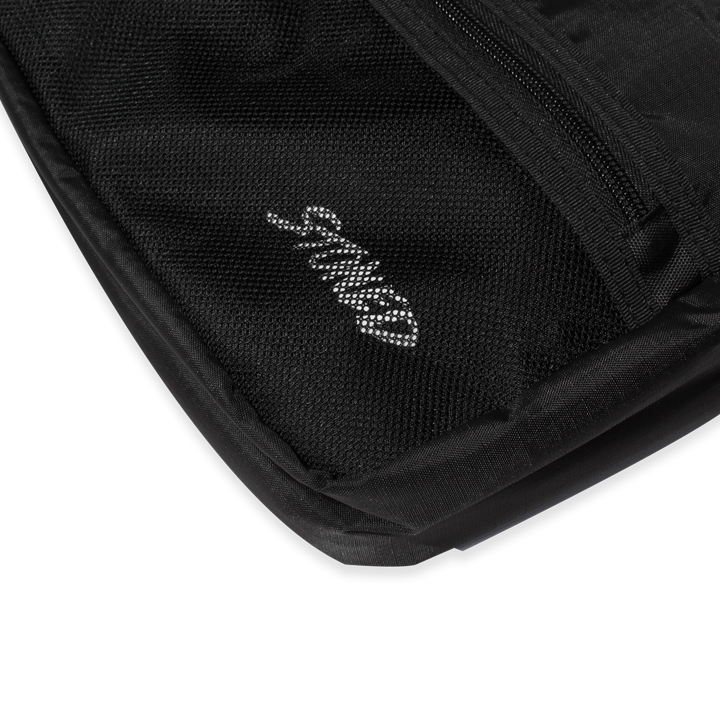 Logo printed at front. Gunmetal-tone hardware. Tonal stitching.